The Disney California Adventure Food & Wine Festival is at the Disney California Adventure Park from March 2 - April 12, 2018. Just because you have food allergies doesn't mean you have to miss out. 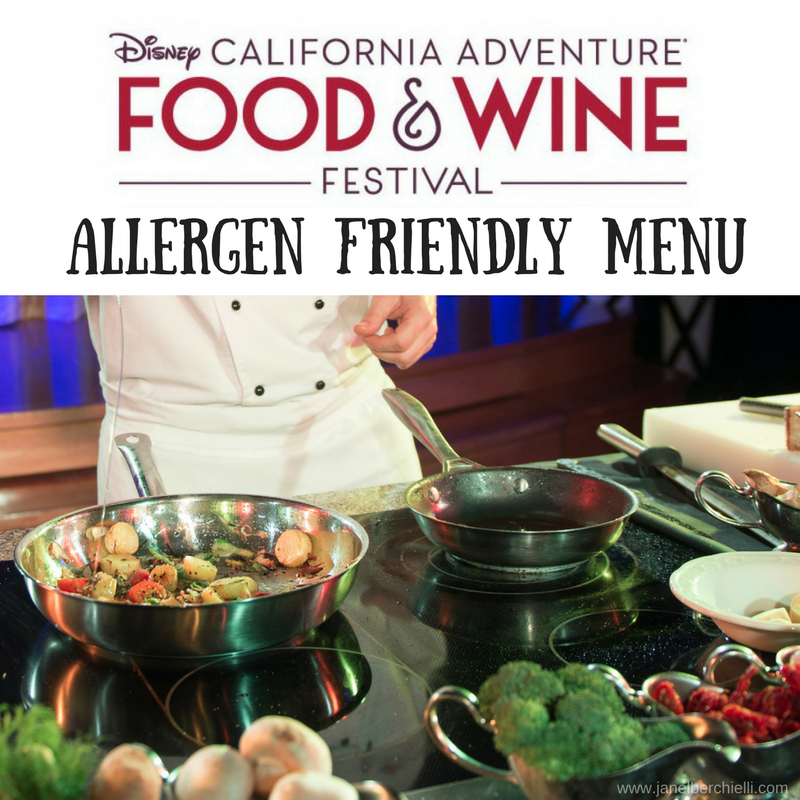 Many guests are unaware, but Disney California Adventure Food & Wine Festival has several options for those with food allergies. 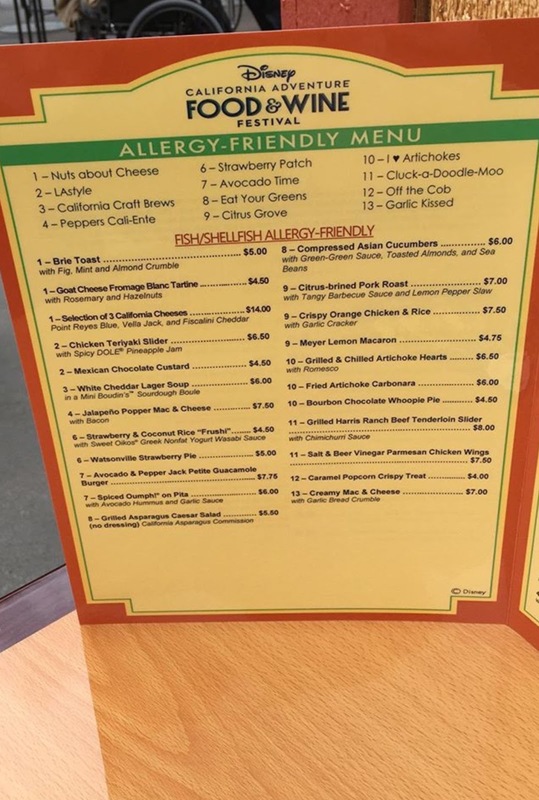 Disney doesn't publicize these menus on their website, but if you ask a Cast Member in person for the "Allergen Friendly menu" they will get it for you. 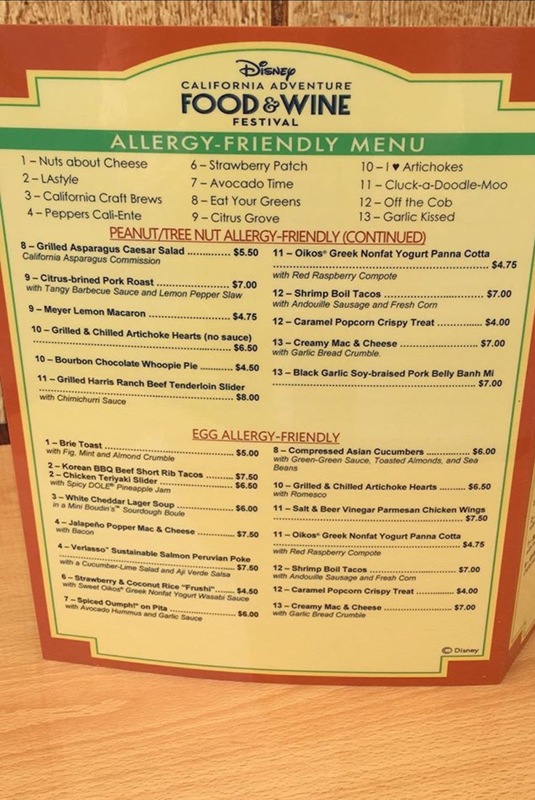 Of course if you have multiple allergies or you are more sensitive definitely ask to speak with a chef. Disney wants to make sure to take good care of their guests with food allergies and limit possible cross contamination as much as possible. 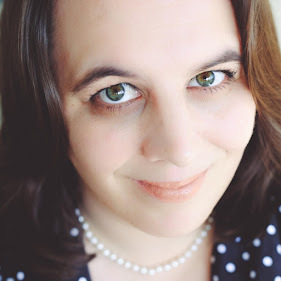 I had a quick trip to the Festival in March. 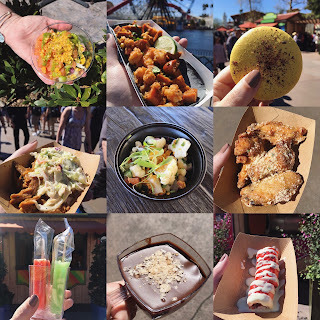 The lines were insane so I was only able to try two items from the Strawberry Patch booth. The Strawberry Coconut Frushi is amazing! The strawberry-pineapple float (while not listed on this menu but I was told it was gluten free) is delicious! 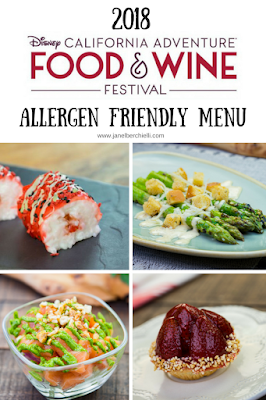 I wanted to share these menus with you just in case you will be attending the Disney California Adventure Food & Wine Festival. Special thank you to my friend Lucie (@APDISNEYMOMMA on Instagram) for taking these allergen friendly menu photos for me.